Blue Sky: What Does Your Dreamboat iPad Magazine Look Like? One of the blue-sky projects I’ve been planning for a little while at SiliconANGLE is tablet versions of our content. We have a lot to offer at SiliconANGLE – video content, high quality photo content, editorial, feature writing and news river. The current iteration of our site takes a good stab at displaying it our myriad of content, but it’s not exactly what I want it to ultimately be (you should see some of the awesome design iterations we’re working on now, though). I would have to say that Reeder comes pretty close (even closer with the new ‘Readability’ feature) and FlipBoard has the right idea but suffers from content refresh issues. I think an ideal reading experience is one that is concerned with the end user reading, not using a cool interface (i.e. Flud and Pulse). I believe the issue behind the falling iPad magazine sales is due to a perception of value. People don’t want to pay the same for a digital version of a magazine. The expectation is that because there was no same day printing london cost and distribution is ‘easier’ then it should be reflected in the price. I am not saying this is my opinion, but why I think there is a downward trend right now. I like Project, the format is cool. I think it suffers from weird user interface issues (buttons don’t look like buttons, etc). But all in all I like the multimedia feel. The file size alone is huge. First you have to download it then it was to ‘install’. Hopefully HTML 5 will start to drive these sort of things. The user interface for tabled-based magazines is the biggest user-facing problem the community of digital media companies must solve today in my opinion. I’ve put to the test all possible iPad magazines I could find on the UK iTunes in the last month, and each one has a different user interface, often inconsistent with each other, even when they are issued – theoretically – by the same publisher! 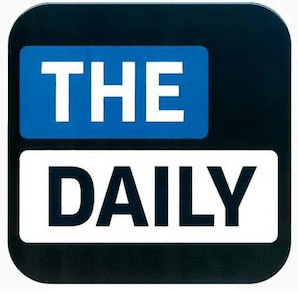 Rumours say that the development of News International’s upcoming "Daily" iPad-only newspaper leveraged the collaboration of Apple. Perhaps that’s what is needed. Apple clearly demonstrated to understand how to build a successful user experience for its devices. Perhaps the new standard framework for digital magazines must come from someone like them. I hope they’ve been working already on it, but it is not yet public domain information. A good opportunity may be the announcement of the next generation iPad and the (joint?) launch of Daily sometime before the spring. An application that may be setup to scan for preferred topics, keywords, and contextually related items across many/all potential news or topically relevant magazines, blogs, sites etc., an aggregate of data/site combing and feeds that may be "sliced and diced" by consumer preference rather than a particular publisher’s preferences. An application that makes it simple, efficient, and easy to access focused information sets on the go would be of great interest to me. The issue at the moment is that most traditional outlets are either pushing for subscription or other proprietary revenue models that tend to silo rather than support such things. I believe/think it will change over time. A nice start would be to have archives of newspapers and magazines compiled and provided in this manner. It would support leveraging current content into the same model while proving the concept as tenable for the various content contributors. News crossed our site via Tom Foremski a few days back, talking about the overall decline in iPad magazine sales. At first I was fearful that we had missed our window of opportunity to launch a magazine. After reading the feedback I received, I’m now less convinced it’s an industry problem, and more convinced that it just hasn’t been done right yet. I think it’s interesting that nobody mentioned Flipboard. Perhaps because it’s too obvious? Or maybe it’s just not resonating with the folks that I asked (outside of the company, anyway. Internally at SiliconANGLE, we’re in love with it). What do you think? Weigh in on my Quora thread. Obligatory Techmeme bait and food for thought: none of these magazine ideas are possible to execute without the existence of RSS. Don’t know what I’m talking about? It’s probably for the best (it involves an angry Dave Winer and a bunch of tired geeky arguments).